The English used in this May 2012 or section may not be easy for everybody to understand. You can help Wikipedia by reading Wikipedia:How to write Simple English pages, then simplifying the article. The Gunpowder Conspiracy of 1605 was a plan to assassinate King James I of England and VI of Scotland. Other names for the plot are The Powder Treason or The Gunpowder Plot. A group of Catholics wanted to blow up the Houses of Parliament during the State Opening of Parliament on 5 November 1605. This would have killed the king, and most of the Protestant aristocracy. The conspirators also planned to kidnap the royal children, and lead a popular revolt in the Midlands. Robert Catesby led the planning of the conspiracy, which started in May 1604. The people who helped him were either rich Catholics, or gentry families who had a lot of influence. Catesby may have come up with the plot when he saw that there was little hope that Great Britain would become more tolerant to Roman Catholics, under King James I. Many Catholics were disappointed about the situation. It is more likely though that Catesby simply wanted to give the Catholics in England a chance: The plot was to be the first step of a rebellion. Afterwards, James' nine-year-old daughter (Princess Elizabeth) could be put in as a Catholic head of state. Other plotters were Thomas Winter (also spelled Wintour), Robert Winter, John Wright, Christopher Wright, Robert Keyes, Thomas Percy (also spelled Percye), John Grant, Ambrose Rokewood, Sir Everard Digby, Francis Tresham and Thomas Bates (Catesby's servant). The explosives were prepared by Guy "Guido" Fawkes, a man with 10 years military experience. Fawkes had fought with the Spanish against the Dutch in the Spanish Netherlands. The main Jesuit in England, Father Henry Garnet was said to know the details of the plot. Oswald Tesimond, a fellow Jesuit had told him. Robert Catesby confessed them to Tesimond, and gave him the permission to tell Garnet. Although he was convicted, there has since been some debate over how much Garnet really knew. As the details of the plot were known through confession, Garnet was not allowed to reveal them to the authorities. He did not think it was a good idea. Nevertheless, the plot went ahead. Garnet's opposition to it did not save him from being hanged, drawn and quartered for treason in 1606, though. In the 17th century, the Palace of Westminster was made of many buildings, spread over a large area. They were grouped around the medieval chambers, chapels, and halls of the old royal palace. This palace housed both Parliament and the various law courts. The palace was also easier to access than it is today. Merchants, lawyers, and other people lived and worked on the palace grounds. As a member of the King's Bodyguard, Percy was able to lease rooms next to the House of Lords, in May 1604. The plotters' original idea was to dig their way under the foundations of the Lords chamber to put the gunpowder there. The main idea was to kill James, but many other important targets would be present, including most of the Protestant nobility and senior bishops of the Church of England. Guy Fawkes, as "John Johnson", was put in charge of this building, where he posed as Percy's servant. Catesby's house in Lambeth was used to store the gunpowder with the tools for digging. However, when the Black Plague came back to London in the summer of 1604 and it proved to be particularly severe. For this reason, the opening of Parliament was changed to 1605. By Christmas Eve, the miners had still not reached the buildings of Parliament, and just as they restarted work early in 1605, they learned that the opening of Parliament had been further postponed to 3 October. The plotters then took the opportunity to row the gunpowder up the Thames from Catesby's house in Lambeth, to hide it in their new rented house: they had learned (by chance) that a coal merchant named Ellen Bright had vacated a ground-floor undercroft directly beneath the House of Lords chamber. Presented with this golden opportunity, Percy immediately took pains to secure the lease. He created the story that his wife would join him in London and that he would need the extra storage space. Fawkes assisted in filling the room with gunpowder, which was hidden beneath a wood store under the House of Lords building, in a cellar leased from John Whynniard. By March 1605, they had filled the undercroft underneath the House of Lords with 36 barrels of gunpowder, hidden under a store of winter fuel. Had all 36 barrels been successfully ignited, the explosion could easily have reduced many of the buildings in the Old Palace of Westminster complex to rubble, and would have blown out windows in the surrounding area of about a one kilometre radius. The conspirators left London in May, and went to their homes or to different areas of the country, because being seen together would arouse suspicion. They arranged to meet again in September; however, the opening of Parliament was again postponed. The weakest parts of the plot were the arrangements for the subsequent rebellion which would have swept the country and installed a Catholic monarch. Due to the requirements for money and arms, Sir Francis Tresham was eventually admitted to the plot, and it was probably he who betrayed the plot in writing to his brother-in-law Lord Monteagle. An anonymous letter revealed some of the details of the plot; it read: "I advise you to devise some excuse not to attend this parliament, for they shall receive a terrible blow, and yet shall not see who hurts them". According to the confession made by Fawkes on Tuesday 5 November 1605, he had left Dover around Easter 1605, bound for Calais. He then travelled to Saint-Omer and on to Brussels, where he met with Hugh Owen and Sir William Stanley before making a pilgrimage to Brabant. He returned to England at the end of August or early September, again by way of Calais. Guy Fawkes was left in charge of executing the plot, while the other conspirators fled to Dunchurch in Warwickshire to await news. Once Parliament had been destroyed, the other conspirators planned to start a revolt in the Midlands. During the preparation, several of the conspirators had been concerned about the safety of fellow Catholics who would be present in Parliament on the day of the planned explosion. On the evening of Friday, 26 October Lord Monteagle received an anonymous letter while at his house in Hoxton. My lord out of the love i bare to some of youre frends i have a care of your preseruasion therefore i would advise you as you tender your life to devise some excuse to shift of your attendance at this parliament for god and man hath concurred to punish the wickedness of this time and think not slightly of this advertisement but retire youre self into youre control where you may expect the event in saftey for though there be no appearance of any stir yet i say they shall receive a terrible blow this parliament and yet they shall not see who hurts them this councel is not to be condemned because it may do you good and can do you no harm for the danger is passed as soon as you have burnt the letter and i hope god will give you the grace to make good use of it to whose holy protection i commend you. Monteagle had the note read out loud, possibly to warn the plotters that the secret was out, and promptly handed it over to Robert Cecil, 1st Earl of Salisbury, the Secretary of State. The conspirators learned of the letter the following day, but decided to go ahead with their plan, especially after Fawkes inspected the undercroft and found that nothing had been touched. Having been shown the letter, the King ordered Sir Thomas Knyvet to conduct a search of the cellars underneath Parliament, which he did in the early hours of 5 November. Shortly after midnight, Fawkes was found leaving the cellar the conspirators had rented and was arrested, giving his name as John Johnson. Inside, the barrels of gunpowder were discovered hidden under piles of firewood and coal. Far from denying his intentions during the arrest, Fawkes stated that it had been his purpose to destroy the King and the Parliament. Nevertheless, Fawkes maintained his false identity and continued to insist that he was acting alone. Later in the morning, before noon, he was again interrogated. He was questioned on the nature of his accomplices, the involvement of Thomas Percy, what letters he had received from overseas and whether or not he had spoken with Hugh Owen. On the 5th of November we began a Parliament, to which the King should have cometh in person, but refrained through a practice but that morning discovered. The plot was to have blown up the King at such time as he should have been sat in his royal throne, Nobility and Commons and with all Bishops, Judges and Doctors at one instant, and the blast to have ruined the whole estate and kingdom of England. The gentler tortours [tortures] are to be first used unto him, et sic per gradus ad maiora tenditur [and thus by steps extended to greater ones], and so God speed your good work. The discovery of the Gunpowder Plot aroused a wave of national relief at the delivery of the king and his sons, and inspired in the ensuing parliament a mood of loyalty and goodwill, which Salisbury astutely exploited to extract higher subsidies for the king than any (bar one) granted in Elizabeth's reign. In his speech to both Houses on 9 November, James expounded on two emerging preoccupations of his monarchy: the Divine Right of Kings and the Catholic question. He insisted that the plot had been the work of only a few Catholics, not of the English Catholics as a whole, and he reminded the assembly to rejoice at his survival, since kings were divinely appointed and he owed his escape to a miracle. On hearing of the failure of the plot, the conspirators fled towards Huddington Court near Worcester, a family home of Thomas and Robert Wintour. Heavy rain, however, slowed their travels. Many of them were caught by Richard Walsh, the Sheriff of Worcestershire, when they arrived in Stourbridge. The remaining men attempted a revolt in the Midlands. This failed, coming to a dramatic end at Holbeche House in Staffordshire, where there was a shoot-out resulting in the deaths of Catesby and Percy and capture of several other principal conspirators. Jesuits and others were then rounded up in other locations in Britain, with some being killed by torture during interrogation. Robert Wintour managed to remain on the run for two months before he was captured at Hagley Park. The conspirators were tried on 27 January 1606 in Westminster Hall. All of the plotters pleaded "Not Guilty" except for Sir Everard Digby, who attempted to defend himself on the grounds that the King had reneged on his promises of greater tolerance of Catholicism. Sir Edward Coke, the attorney general, prosecuted, and the Earl of Northampton made a speech refuting the charges laid by Sir Everard Digby. The trial lasted one day (English criminal trials generally did not exceed a single day's duration) and the verdict was never in doubt. The trial ranked highly as a public spectacle, and there are records of up to 10 shillings being paid for entry. Four of the plotters were executed in St. Paul's Churchyard on 30 January. 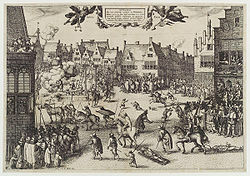 On 31 January, Fawkes, Winter and a number of others implicated in the conspiracy were taken to Old Palace Yard in Westminster, in front of the scene of the intended crime, where they were to be hanged, drawn and quartered. Fawkes, although weakened by torture, cheated the executioners: when he was to be hanged until almost dead, he jumped from the gallows, breaking his neck and killing himself, thus avoiding the gruesome latter part of his execution. With a loud cry of "hold, hold" they stopped the hangman cutting down the body while Garnet was still alive. Others pulled the priest's legs ... which was traditionally done to ensure a speedy death. Anthony-Maria Browne, 2nd Viscount Montagu, due to Guy Fawkes being one of his servants and Robert Catesby having warned him not to attend Parliament. Lady Agnes Wenman of Thame Park as a Catholic and relative of the Dowager Lady Elizabeth Vaux. Dowager Lady Elizabeth Vaux for being a supporter of Fr. Henry Garnet. Edward Vaux, 4th Baron Vaux of Harrowden for being a Catholic, son of the above. Edward Stourton, 10th Baron Stourton for being a cousin of Sir Francis Tresham who was a Gunpowder Plotter, and for getting a letter telling him to be absent from Parliament. Henry Mordaunt, 4th Baron Mordaunt for getting a letter telling him to be absent from Parliament. Sir Alan Percy brother of the above and Lieutenant of the Gentleman Pensioners under Northumberland's captaincy, who were also the King's Bodyguard. Dudley Carleton, 1st Viscount Dorchester for being the secretary of the Earl of Northumberland. Greater freedom for Catholics to worship as they chose seemed unlikely in 1604, but after the plot in 1605, changing the law to afford Catholics leniency became unthinkable; Catholic Emancipation took another 200 years. Nevertheless, many important and loyal Catholics retained high office in the kingdom during King James' reign. The Gunpowder Plot was commemorated for years after the plot by special sermons and other public acts, such as the ringing of church bells. It added to an increasingly full calendar of Protestant celebrations which contributed to the national and religious life of seventeenth-century England. Through various permutations, this has evolved into the Bonfire Night of today. Professor Ronald Hutton has considered the possible events which could have followed the successful implementation of the Gunpowder Plot, with the resultant destruction of Parliament and death of the king. He concluded that the violence of the act would have instead resulted in a more severe backlash against suspected Catholics. Without the involvement of some form of foreign aid, success would have been unlikely, as most Englishmen were loyal to the institution of the monarchy, despite differing religious convictions. England could very well have become a more "Puritan absolute monarchy", as "existed in Sweden, Denmark, Saxony, and Prussia in the seventeenth century", rather than follow the path of parliamentary and civil reform that it did. Traditionally bonfires are lit in Britain every 5th of November to commemorate the plot. When Parliament met in January 1606 for the first time after the plot they passed an Act of Parliament called the "Thanksgiving Act". This made services and sermons commemorating the Plot an annual feature on 5 November. The act remained in force until 1859. On 5 November 1605, it is said that the people of London celebrated the defeat of the plot with fires and street festivities. The tradition of marking the day with the ringing of church bells and bonfires started soon after the Plot and fireworks were also included in some of the earliest celebrations. In Britain the fifth of November is also called Bonfire Night, Fireworks Night or Guy Fawkes Night. It remains the custom in Britain, on or around 5 November, to let off fireworks. Traditionally, in the weeks running up to the 5th, children made "guys"—effigies supposedly of Fawkes—usually made from old clothes stuffed with newspaper, and with a grotesque mask, to be burnt on the 5 November bonfire. These effigies would be shown in the street, to collect money for fireworks, although this practice is becoming less common. The word guy came thus in the 19th century to mean an oddly dressed person, and in the 20th and 21st centuries to mean any male person. Institutions and towns may hold firework displays and bonfire parties, and the same is done on a smaller scale in back gardens throughout the country. In some areas, particularly in Sussex, there are extensive processions, large bonfires and firework displays organised by local bonfire societies; the most extensive of which takes place in Lewes. The Houses of Parliament are still searched by the Yeomen of the Guard before the State Opening of Parliament, however, this is done as a traditional custom rather than a serious anti-terrorist precaution. A commemorative British two pound coin was issued in 2005 to celebrate the 400th anniversary of the plot. The cellar in which Fawkes watched over his gunpowder was demolished in 1822. The area was further damaged in the 1834 fire and destroyed in the subsequent rebuilding of the Palace of Westminster. The lantern which Guy Fawkes carried in 1605 is in the Ashmolean Museum, Oxford. A key supposedly taken from him is in Speaker's House, Palace of Westminster. These two items were shown in a major exhibition held in Westminster Hall from July to November 2005. According to Esther Forbes (a biographer), the Guy Fawkes Day celebration in the pre-revolutionary American Colonies was a very popular holiday. In Boston, the celebration took on anti-authoritarian overtones, and often became so dangerous that many would not venture out of their homes. In November 1930, taking advantage of the bonfires used on the holiday, Alfred Arthur Rouse murdered an unknown man and planted his body as a substitute for Rouse's in his Morris Minor (1928) automobile (which was then set alight). The scheme did not work out, and Rouse was arrested, tried and executed for the crime. 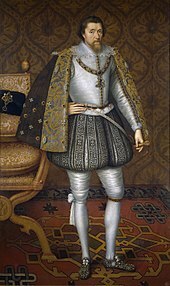 Many at the time felt that Robert Cecil, 1st Earl of Salisbury had been involved in the plot to gain favour with the king and enact more stridently anti-Catholic legislation. Such theories alleged that Cecil had either actually invented the plot or allowed it to continue when his agents had already infiltrated it, for the purposes of propaganda. These rumours were the start of a long-lasting conspiracy theory about the plot. Yet while there was no "golden time" of "toleration" of Catholics which Father Garnet had hoped for at the start of James' reign, the legislative backlash had nothing to do with the plot: it had already happened by 1605, as recusancy fines were re-imposed and some priests expelled. There was no purge of Catholics from power and influence in the kingdom after the Gunpowder Plot, despite Puritan complaints. The reign of James I was, in fact, a time of relative leniency for Catholics, few being subject to prosecution. This did not dissuade some from continuing to claim Cecil's involvement in the plot. In 1897 Father John Gerard of Stonyhurst College, namesake of a Jesuit priest who had performed Mass to some of the plotters, wrote an account called What was the Gunpowder Plot?, alleging Cecil's culpability. This prompted a refutation later that year by Samuel Gardiner, who argued that Gerard had gone too far in trying to "wipe away the reproach" which the plot had exacted on generations of English Catholics. Gardiner portrayed Cecil as guilty of nothing more than opportunism. Subsequent attempts to prove Cecil's responsibility, such as Francis Edwards's 1969 work Guy Fawkes: the real story of the gunpowder plot?, have similarly foundered on the lack of positive proof of any government involvement in setting up the plot. There has been little support by historians for the conspiracy theory since this time, other than to acknowledge that Cecil may have known about the plot some days before it was uncovered. According to the historian Lady Antonia Fraser, the gunpowder was taken to the Tower of London magazine. It would have been reissued or sold for recycling if in good condition. Ordnance records for the Tower state that 18 hundredweight (equivalent to about 816 kg) of it was "decayed", which could imply that it was rendered harmless due to having separated into its component chemical parts, as happens with gunpowder when left to sit for too long—if Fawkes had ignited the gunpowder during the opening, it would only have resulted in a weak splutter. Alternatively, "decayed" may refer to the powder being damp and sticking together, making it unfit for use in firearms — in which case the explosive capabilities of the barrels would not have been significantly affected. The Gunpowder Plot: Exploding The Legend, an ITV programme presented by Richard Hammond and broadcast on 1 November 2005, re-enacted the plot by blowing up an exact replica of the 17th-century House of Lords filled with test dummies, using the exact amount of gunpowder in the underground of the building. The dramatic experiment, conducted on the Advantica Spadeadam test site, proved unambiguously that the explosion would have killed all those attending the State Opening of Parliament in the Lords chamber. The power of the explosion, which surprised even gunpowder experts, was such that seven-foot deep solid concrete walls (made deliberately to replicate how archives suggest the walls in the old House of Lords were constructed) were reduced to rubble. Measuring devices placed in the chamber to calculate the force of the blast were themselves destroyed by the blast, while the skull of the dummy representing King James, which had been placed on a throne inside the chamber surrounded by courtiers, peers and bishops, was found a large distance away from the site. According to the findings of the programme, no-one within 100 metres of the blast could have survived, while all the stained glass windows in Westminster Abbey would have been shattered, as would all windows within a large distance of the Palace. The power of the explosion would have been seen from miles away, and heard from further still. Even if only half the gunpowder had gone off, everyone in the House of Lords and its environs would have been killed instantly. The programme also disproved claims that some deterioration in the quality of the gunpowder would have prevented the explosion. A portion of deliberately deteriorated gunpowder, at such a low quality as to make it unusable in firearms, when placed in a heap and ignited, still managed to create a large explosion. The impact of even deteriorated gunpowder would have been magnified by the impact of its compression in wooden barrels, with the compression overcoming any deterioration in the quality of the contents. The compression would have created a cannon effect, with the powder first blowing up from the top of the barrel before, a millisecond later, blowing out. In addition, mathematical calculations showed that Fawkes, who was skilled in the use of gunpowder, had used double the amount of gunpowder needed. "Gunpowder. Large package is supposed to be Guy Fawkes' gunpowder". ↑ Percy was a rent collector for his uncle, Henry Percy, 9th Earl of Northumberland and Northumberland had used his position to get Percy a post as a "Gentleman Pensioner", a ceremonial royal bodyguard, only a short while before the plot. Nicholls, Mark (May 2005). "The Gunpowder Plot". Oxford Dictionary of National Biography. Oxford, England: Oxford University Press. ↑ "1605 in England". Time & Date. ↑ As King James put it, Fawkes intended the destruction "not only ... of my person, nor of my wife and posterity also, but of the whole body of the State in general". Stewart, p 219. ↑ James said it did not follow "that all professing that Romish religion were guilty of the same". Quoted by Stewart, p 225. ↑ Frank L. Huntley, "Macbeth and the Background of Jesuitical Equivocation", PMLA, Vol. 79, No. 4. (Sep, 1964), pp. 390–400. ↑ David Cressy, Bonfires and bells: national memory and the Protestant calendar in Elizabethan and Stuart England (1989). ↑ 20.0 20.1 Ronald Hutton (2001-04-01). "What If the Gunpowder Plot Had Succeeded?". BBC. Retrieved 2008-11-07. ↑ Forbes, Esther (1999) . Paul Revere and the World He Lived In. Houghton Mifflin Books. p. 94. ISBN 9780618001941. ↑ Peter Marshall, Reformation England 1480–1642, London, 2003, pp. 187–8. ↑ Gerard, John (1897). What was the Gunpowder Plot? : the traditional story tested by original evidence. London: Osgood, McIlvaine & Co.
↑ Gardiner, Samuel (1897). What Gunpowder Plot was. London: Longmans, Green and Co.
↑ Edwards, Francis (1969). Guy Fawkes: the real story of the gunpowder plot?. London: Hart-Davis. ISBN 0246639679. This page was last changed on 19 February 2019, at 05:24.